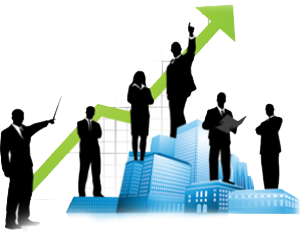 You will be benefited from a proven offshore development concept that minimizes cost as well as risk. We have had the opportunity to work on projects from around the world therefore; our team has been exposed to diverse work cultures and is experienced in a variety of domains. iDreamz Solutions use a proven project methodology and provide detailed project documentation so you are continually updated and can see how your project is developing every step of the way. For Clients away from India, the solution can be a combination of offshore and onshore or pure offshore or pure onshore. No language barriers – All our employees speak English fluently so you can rest assured your requirements will be fully understood. Our System Analysts, Software Developers, Web Designers, Testing Engineers and Project Managers are all highly qualified and experienced professionals. Our team has extensive technical and industry specific experience; this enables us to give you solutions matching your requirements and budgets. We have upgraded our skills to provide our services to the fast and growing Internet market. We have developed Internet based solutions using ASP, .NET, JAVA, JSP, PHP, HTML,XHTML etc. With offshore locations and a team of experienced IT Specialists, we are able to offer you premium technology. We maintain close ties with national technical universities and the academic community to continually keep up to date.